We have had a very very busy few months at Dom Buckley Motorsport. If you would like to get more up to date information on our and our customers ventures across the Motorsport world there is regular updates on our Facebook and Twitter pages which you can gain access too from our website homepage. Since our last web update here is what we have been up to. Brian Bell and Jamie Edwards have completed two rounds of the BTRDA Rally Championship. The long trip down to Minehead, Somerset was first up and a strong showing despite a broken driveshaft saw them take a very good 11th overall. 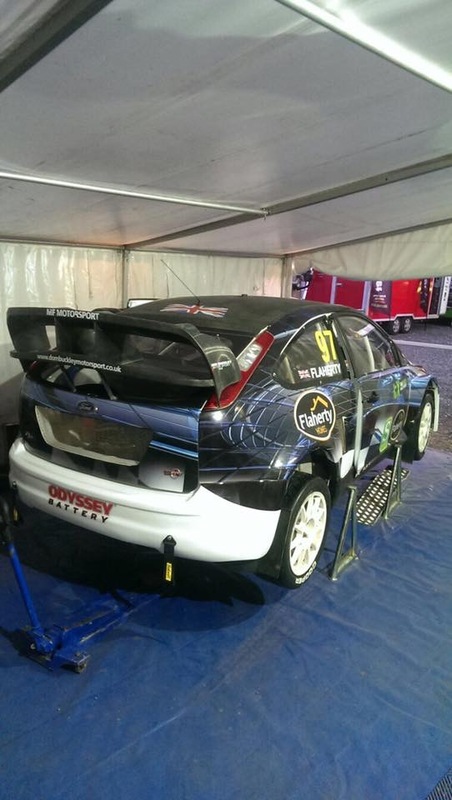 The next round of the championship was a month after the Somerset Stages. The Plains rally had a very strong entry which saw the Focus WRC seeded down at 32. A misfire developed on the very first stage and their was no service until after the 3rd stage so Brian had to drive around the problem for the 3 stages. Once the car was in service the team fixed the problem and the Skegness man took the car to 27th overall finish. 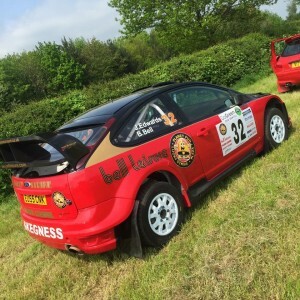 Brian’s next event is the DMack Carlisle Stages on the 11th June. The Scottish Championship regulars headed to Elgin for the Speyside stages and Shaun Sinclair was back out in his Subaru Impreza WRC after a podium finish in a newer Focus WRC. He and Kirsty Riddick struggled all day at the Speyside with a mapping issue to eventually finish 12th overall. One weeks rest and Shaun got a late entry into the Tour of the Sperrings in Ireland which unfortunately ended on Stage 4 when the gearbox pump broke the end off causing a major gear oil leak. Dale Robertson and Stuart Loudon continued their strong start to the year in the Robertsons Evo 9. They claimed 6th overall at the Speyside. John Wink also had another good showing on the same rally and was on course for a top 10 until slipping off the road on the final stage but still managed to get to the end and finish 18th. Billy Cowe got his gearbox rebuilt by us after he lost 3rd gear on his previous Irish National Championship outing and he headed out to Carlow Stages in his Subaru. In treacherous conditions Billy went off the road into a tree on the 2nd stage. Europe. Having claimed a podium spot in the previous British Championship round we headed to Italy for the first round of the Rallycross Challenge Europe where Mark got into the final but damaged the suspension in the early laps but still managed to grab 5th overall. Then it was onto Mettet, Belguim for the FIA European Championship where unfortunately Flaherty didn’t manage to qualify for the finals in what was a very strong entry. 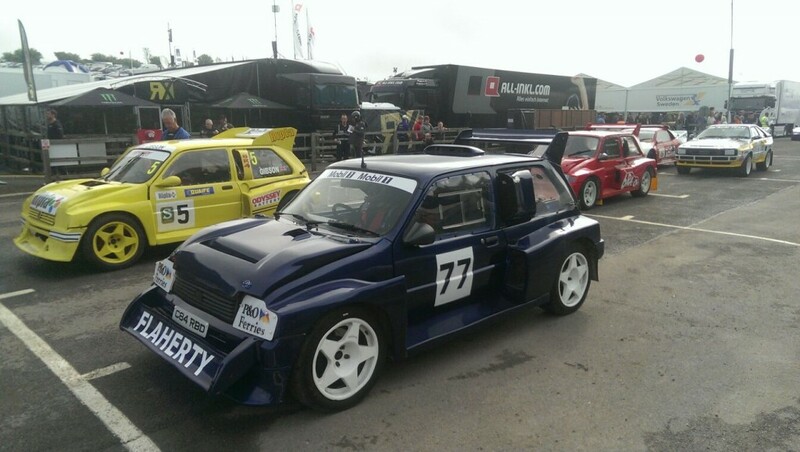 Mark has also bought a Metro 6R4 to use in the retro Rallycross and is this weekend using it at Lydden Hill.